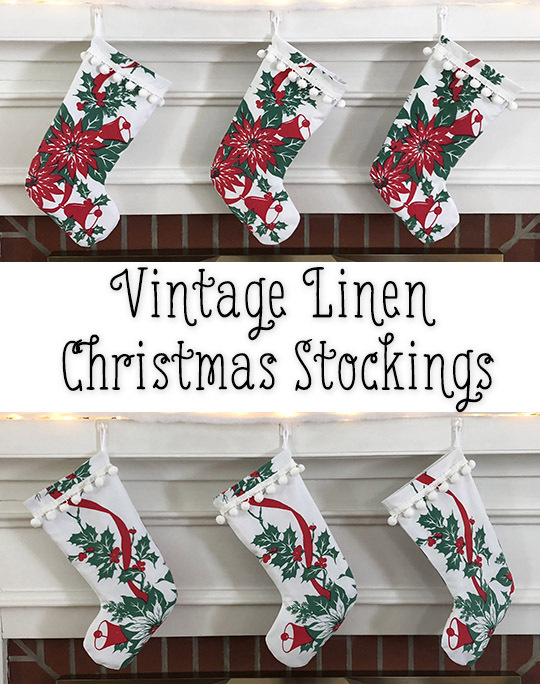 I ran across a lovely old Christmas tablecloth in an antique shop this fall and new right away that I wanted to make a set of Christmas stockings with it. 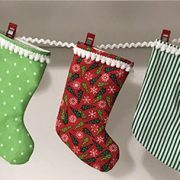 These were so easy – I used the pattern from last year’s 20-Minute Christmas Stockings post and made a few minor adjustments. 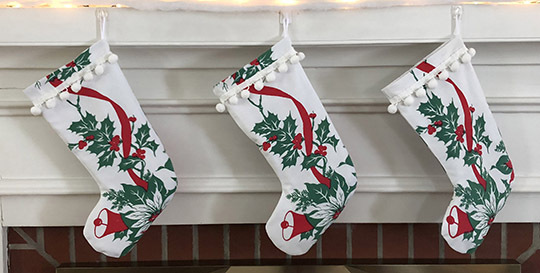 I didn’t want a cuff on my stockings so I cut the top 2″ off the pattern, and I lined them with plain white fabric rather than making them reversible. 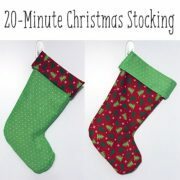 As a final touch, I added pompom trim around the top. The original tablecloth had a solid green center and a printed border. It took a bit of fiddling to get four fronts and four backs from the printed portion, and the design is a bit different on each side. I love how they turned out!